PULL CORD: Switch on the electricity supply to the heater. To switch the heater ON, pull and release the cord until the red indicator appears. To switch OFF, pull the cord until the red indicator no longer appears. 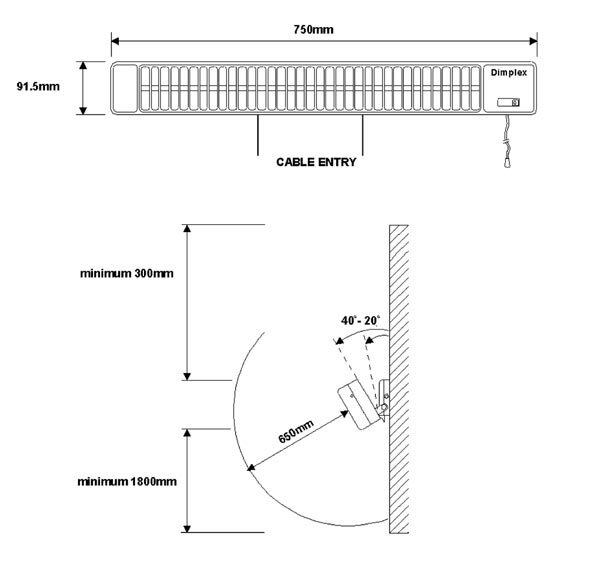 ADJUSTABLE BEAM ANGLE: The beam angle is adjustable upon installation. 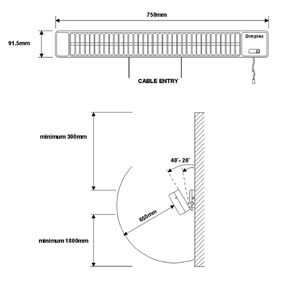 The IRX500 Infra-Red Heater has a loading of 0.5kW. Drip proof protection (IP23 rated). Supply cable is not provided. 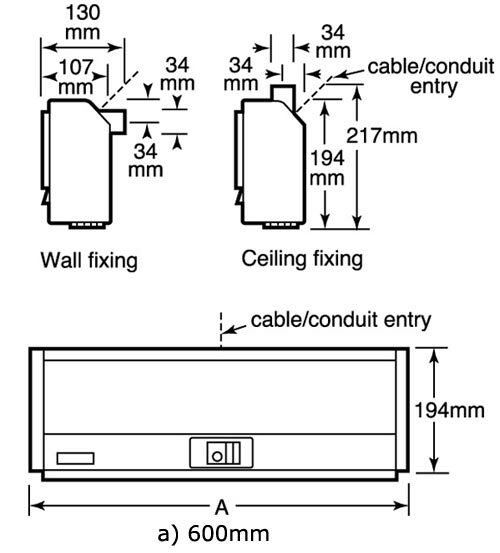 Provision is made for connection to fixed wiring only with a surface wiring or flexible cord entering through a bushed hole in the bottom or side of the base plate. A cable clamp is provided.